We are so excited to present to you an Angels In Concert spectacular, headlined by Joss Stone and featuring Beverley Knight, Sandie Shaw, Dionne Bromfield, Joe Leader, Leigh Coleman and The Mama Stones House Band. . Please join us for The 2012 Global Angel Awards celebration, supported by Angel Ambassadors Tich and Raphaella at the exclusive pre-party for our concert only guests. 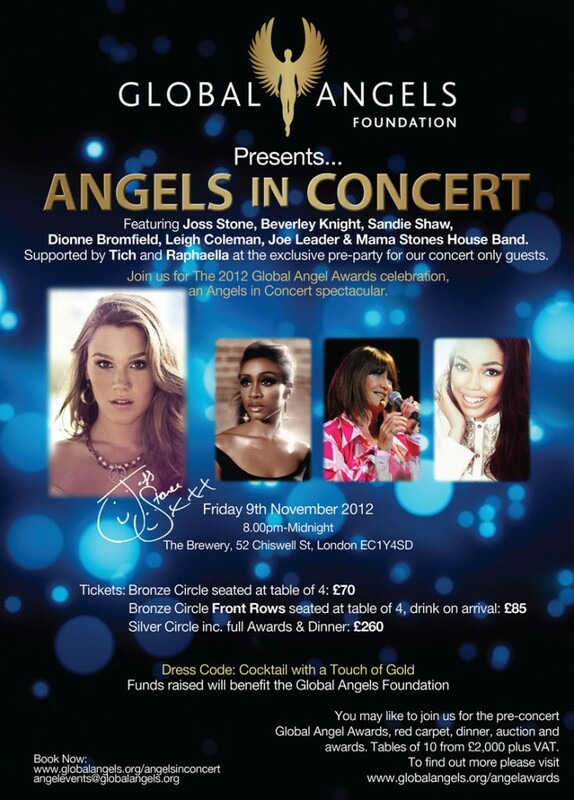 You may like to join us for the pre-concert Global Angel Awards, red carpet, dinner, auction and awards.